As anyone who’s seen his shows on the National Geographic Channel can attest, Cesar Millan works miracles with dogs. Whether the issue is fear, aggression, excessive dominance, toy fixation, or even biting the owner, Millan has yet to meet the dog he couldn’t rehabilitate. As anyone who watches his shows also knows, Millan’s solutions usually come down to training the owner as much as, or more than, the “problem” dog. 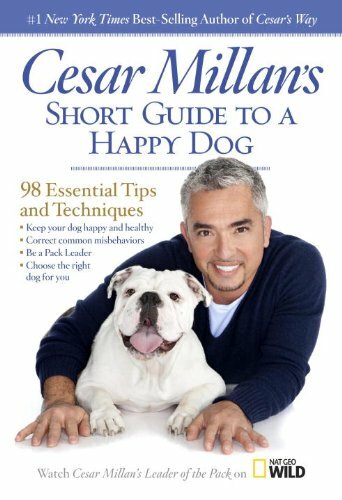 If you’ve got a dog in crisis, try one of Cesar Millan’s books. It’s no surprise that every one of them has an average review rating of 4/5 stars or higher. Whether you’re having issues with your dog or just want to make a good bond even stronger, this book will give you a deeper appreciation of how your dog sees the world, and it will help make your relationship with your beloved pet a richer and more rewarding one. Learn what goes on inside your dog’s mind and develop a positive, fulfilling relationship with your best friend. After more than 9 seasons as TV’s Dog Whisperer, Cesar Millan has a new mission: to use his unique insights about dog psychology to create stronger, happier relationships between humans and their canine companions. Now in paperback, this inspirational and practical guide draws on thousands of training encounters around the world to present 98 essential lessons. Taken together, they will help dog owners create the most fulfilling life possible with their dogs. 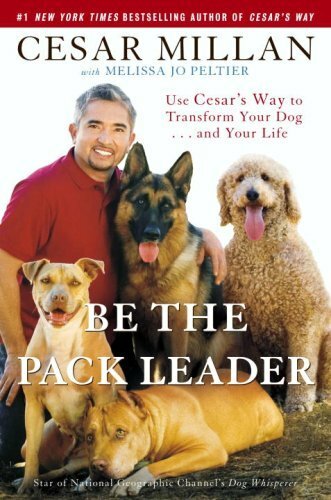 Throughout the book, inspiring stories from Cesar’s case files — and from his TV show, Leader of the Pack – provide moving real-world applications and surprising life lessons. Smart, easy to use, and packed with Cesar’s remarkable insights into human and canine behavior, A Short Guide to A Happy Dog is an inspiring tool for anyone looking to live a better life with a beloved member of the family. 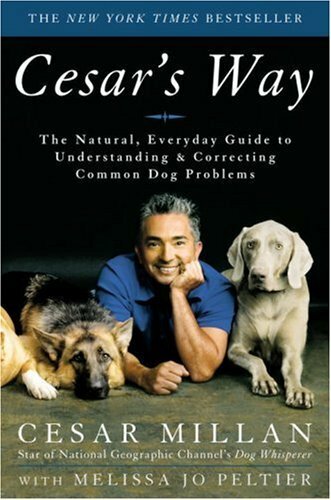 Based on Cesar’s own detailed experiences raising individual puppies from some of the most popular breeds, How to Raise the Perfect Dog is like having Cesar right beside you, as your own personal expert, coaching you and your dog from the first day of your life together. 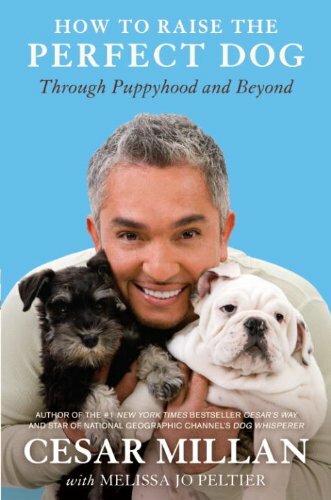 Packed with new information aimed specifically at the particular needs of puppies and adolescents, and written in Cesar’s friendly, accessible style, How to Raise the Perfect Dog answers all the most commonly asked questions and guides you towards a loving, satisfying life-long relationship with your best friend. 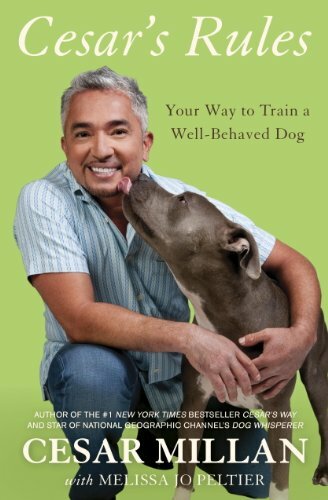 Bestselling author Cesar Millan takes his principles of dog psychology a step further, showing you how to develop the calm-assertive energy of a successful pack leader and use it to improve your dog’s life–and your own. Filled with practical tips and techniques as well as real-life success stories from his clients (including the Grogan family, owners of Marley from Marley & Me) and his popular television show Dog Whisperer with Cesar Millan, Cesar helps you understand and read your dog’s energy as well as your own so that you can move beyond just correcting behavioral issues and take your connection with your dog to the next level. Many of us think of our dogs not as pets but as full-fledged members of our families. If you own a dog—or are thinking about getting one—A Member of the Family is the ultimate resource for integrating your canine companion into the life of your household. What should you do if you need to leave your dog alone at home while everyone is at work? Are you providing him with the exercise he needs? How can you make sure your children and dog get along well? How do events in the human family—such as birth, marriage, or divorce—affect the family dog? 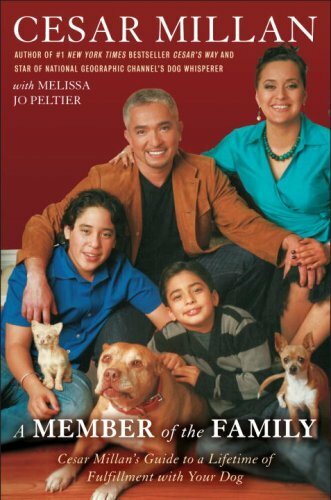 All of these questions and many more are answered by bestselling author Cesar Millan in his new book. Brimming with practical tips and techniques, A Member of the Family addresses the most common issues and questions that emerge over the course of a person’s lifetime relationship with a dog, explaining what it takes to be a good dog owner. From choosing the right dog for your particular family’s needs to setting the rules of the house (yes, you and your family are in charge) to finding a quality veterinarian and monitoring your dog’s health, Cesar offers essential advice for a harmonious home. No topic is left untouched. With success stories from Cesar’s fans and clients throughout, A Member of the Family includes sections on travel and doggie day care, the needs of an aging dog, and dealing with the death of a pet and its long-lasting effects on a family. A chapter on dogs and children is written from the perspective of Cesar’s sons, Andre and Calvin, and one on the role of the strong female pack leader is by Cesar’s wife, Ilusion. Click here to browse the full catalog of Cesar Milan books and tip card “decks”.